The Robot Scientists are vinyl-only DJs Markus Schneider and Stefan Maurer. They are famous for their energetic, hypnotic, emotional and spaced out sets, mixing cosmic disco, synth wave, balearic and deep house, with a focus on vocal tracks. On occasions, they perform together with Studio 54 legend Ronald Springer. For their own productions, they teamed up with songwriter and producer Markus « Fred » Scholl and guitarist Enrico Casino. 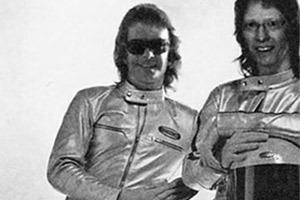 Altogether they founded Emerald & Doreen Records, a label for futuristic club, lounge and pop music.